Find out just how sophisticated a Girl Scout Cookie can be! 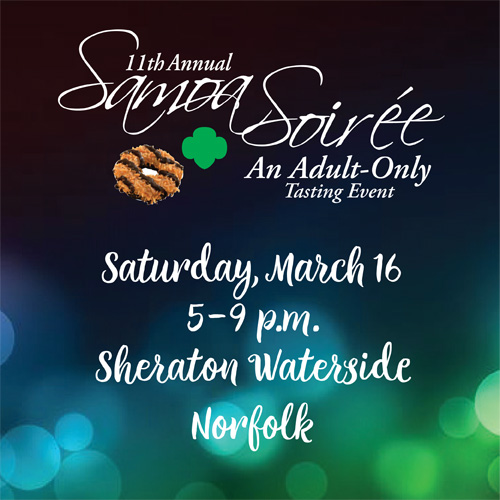 Girl Scouts of the Colonial Coast will be hosting the 11th annual Samoa Soiree on Saturday, March 16 from 5 to 9 p.m. at the Sheraton Norfolk Waterside Hotel. At the event, top chefs in Hampton Roads create unique desserts and appetizers using a Girl Scout Cookie variety as the key ingredient. 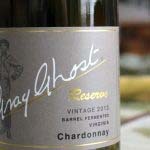 The evening includes delicious food, live music and a silent auction. 13News Now Daybreak Anchor Ashley Smith will be the emcee and one of several celebrity judges at the event. Proceeds from Samoa Soiree stay in southeastern Virginia and northeastern North Carolina to allow GSCCC to build more girls of courage, confidence and character to make the world a better place. This event is open to everyone ages 21 and up.